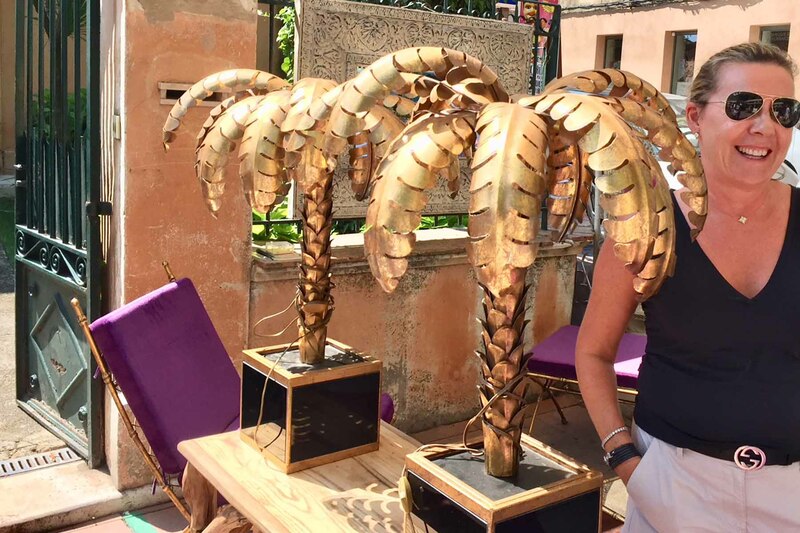 Look at these beautiful art deco lights we picked up in Rhone! These are added to our furniture stock. We’re delighted to share our latest project, which after nearly a year is coming to its final stages’. With its grand ceiling heights and wonderfully proportioned rooms, it was clear the space offered great potential, but in its original state felt cold and anonymous. The client wanted the interiors to reflect the feeling of warmth and the family’s personalities. Refurbishment of a historic mill house! 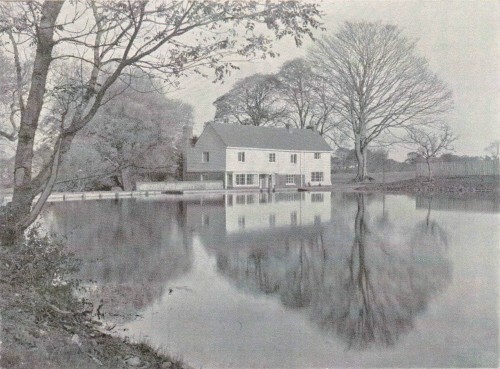 We’re thrilled to announce the completion of this refurbishment of a historic mill house! The dwelling has been completely renovated top to bottom and is a far cry from its once tired and dreary state. 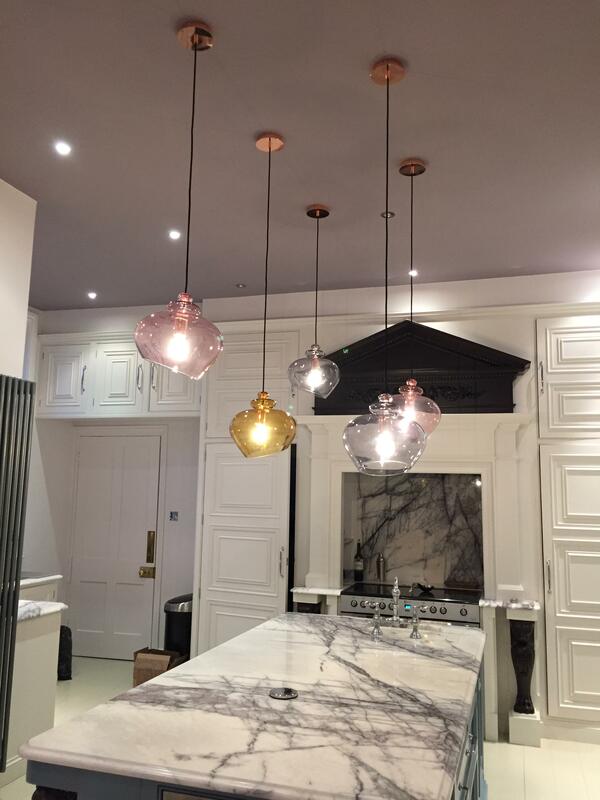 When coming up with a concept for the design, it was important to modernise the property yet be sympathetic to its period features and established history. Pfeiffer Design is delighted to have been appointed to renovate three bedrooms in a Victorian country mansion in mid Sussex. The rooms were dated and required extensive decorative renovation to reflect the beauty and character of the house. 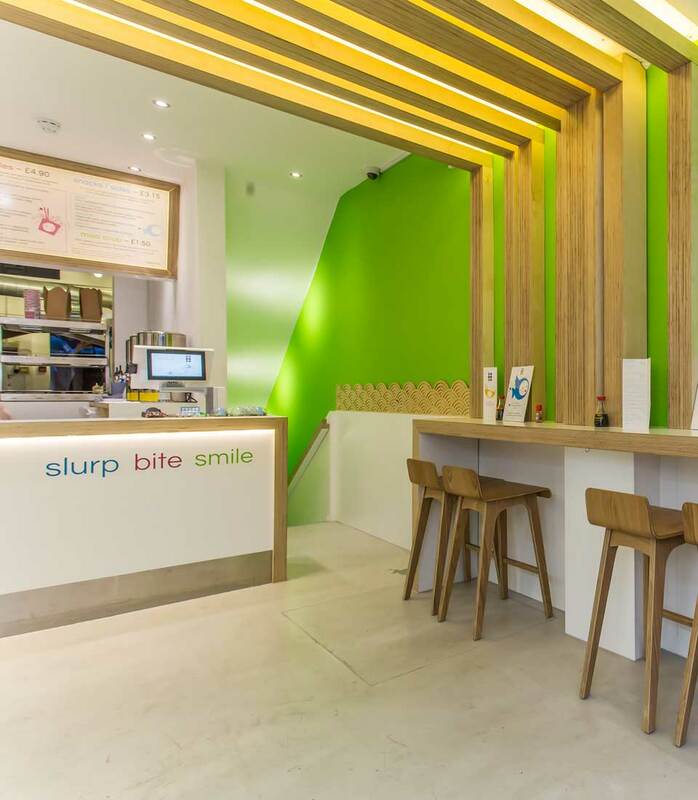 We are delighted to share the photos of one of our recently completed commercial projects. 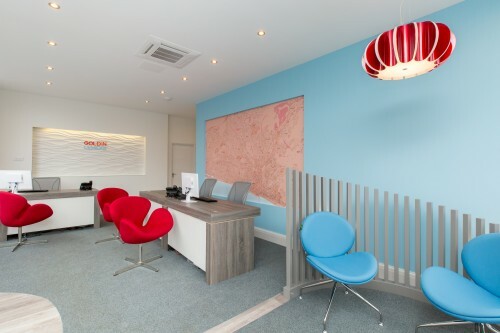 Goldin Lemcke is a well established independent estate agent who asked us to refresh the look of their Hove office as part of a full rebranding exercise. We are pleased to announce that we have been chosen to design the refurbishment of part of an historic estate in East Sussex. The estate dates back to Saxon times and has a fascinating history including a collaboration between acclaimed designers Sir Edwin Lutyens and Gertrude Jekyll in the early 20th century to remodel the manor house and gardens. We are absolutely thrilled to be following in such illustrious footsteps. 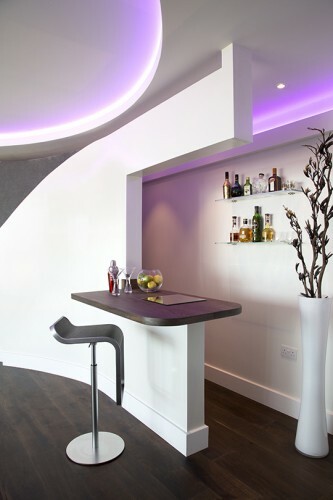 Pfeiffer Design is delighted to present the photographs from our recently completed project in one of Brighton’s most prestigious luxury apartment blocks. Photographed by Daniela Exley Photography. Before we started, the apartment was unremarkable and in need of modernisation, however it did have stunning sea views. 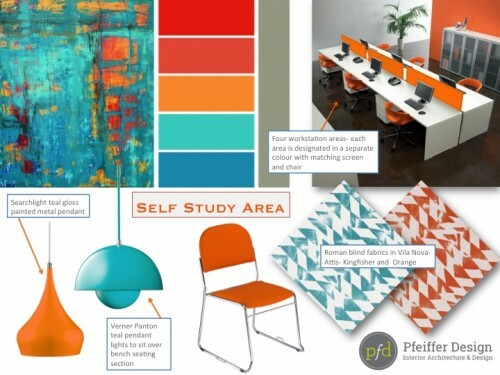 Pfeiffer Design has recently developed a design concept for a new self- study area at Sussex Coast College, Hastings. The spatial layout incorporates a combination of workstations, group study areas and quick access stations. 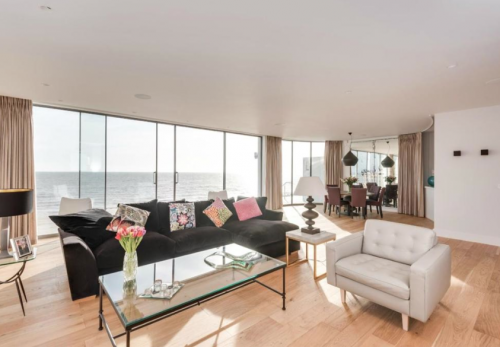 Pfeiffer Design would like to share with you the final images of one of our recent projects- a unique four bedroom, sea front home on Western Esplanade, recently named Brighton’s most expensive home by The Argus. The location boasts its own private beach with uninterrupted sea views. 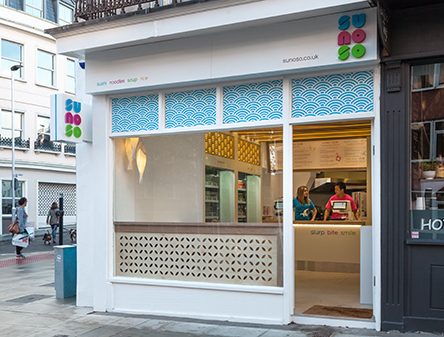 Pfeiffer Design is delighted to receive the final images of SuNoSo, the on-the-go Asian food shop in Brighton. Have a look at our computer visuals alongside the final result! 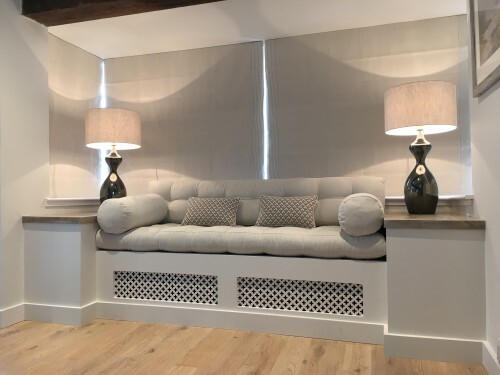 Pfeiffer Design are delighted to be the designers on a large residential project in a rural West Sussex village, to create a fabulous, twenty-first century family home. 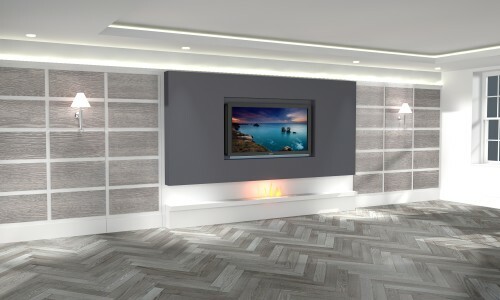 The brief included redesigning and extending the living room and home office, reconsidering the interior design of the entrance hall and first floor landing and building a huge 15m day room to include a London style cocktail bar, grand piano and 14 seater dining table. Pfeiffer Design is in the final stages of designing a beautiful grade II listed, five storey property on Kemp Town seafront. 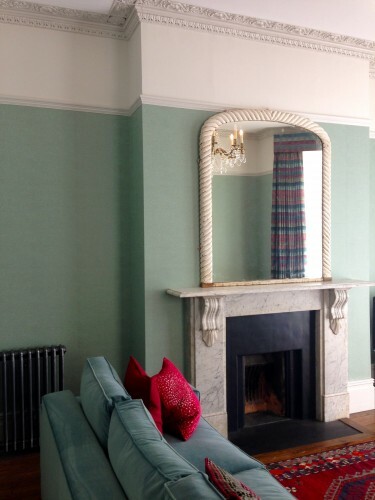 The original architectural features have been accentuated through the use of bold colour, pattern and lighting. 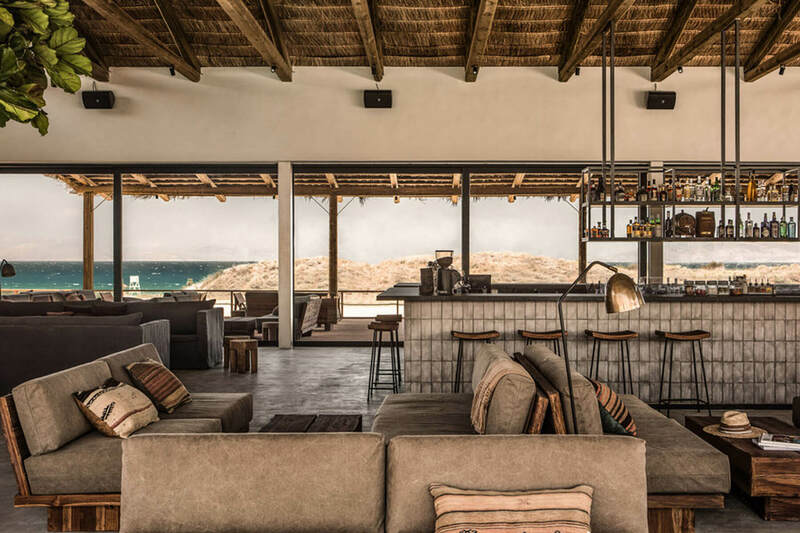 Pfeiffer Design has completed a sophisticated interior and exterior concept, featuring an eclectic range of furniture. 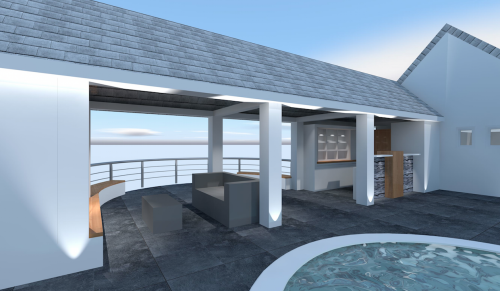 Pfeiffer Design has started the conceptual phase of a large, newly built residential property in East Sussex. Aspects of its characteristics include an attractive oak and rendered façade with tile hanging and use of vernacular red brick. 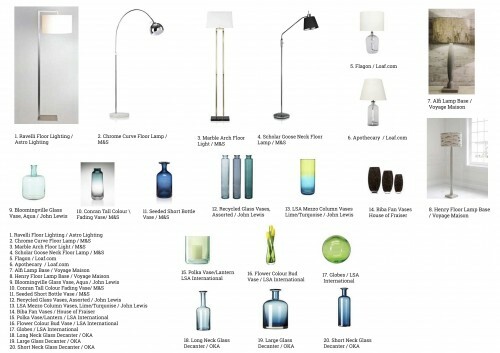 Pfeiffer Design will enhance the some what bland interior with sophisticated architectural details and lighting. Pfeiffer design has begun developing concepts for a listed Edwardian mansion apartment. 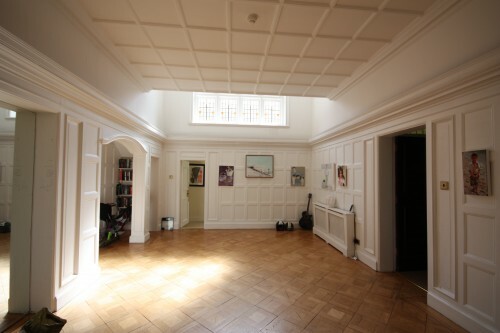 The property has fantastic period features including Oak Parquet flooring, wall panelling, and ornate plasterwork. 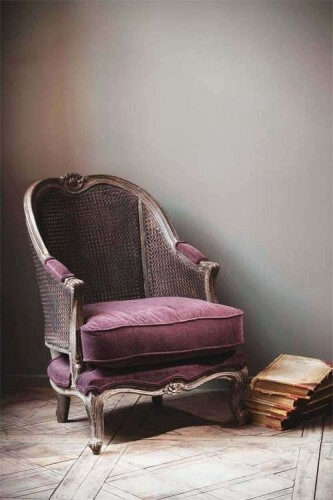 Pfeiffer Design has started a project of a Classic country House in Sussex. Collaborating with the owner on the interiors utilising antiques and modern upholstered pieces to create a comfortable family home. 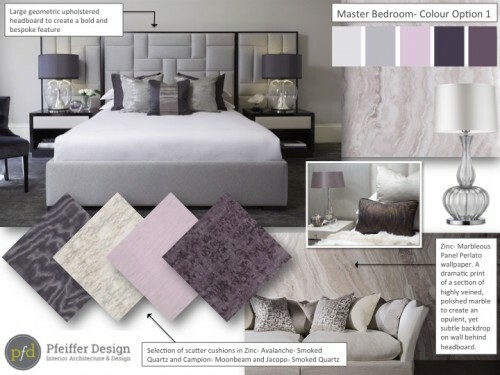 Pfeiffer Design has recently completed the interior design of a beautiful, luxurious bedroom suite within an open eves roof space. 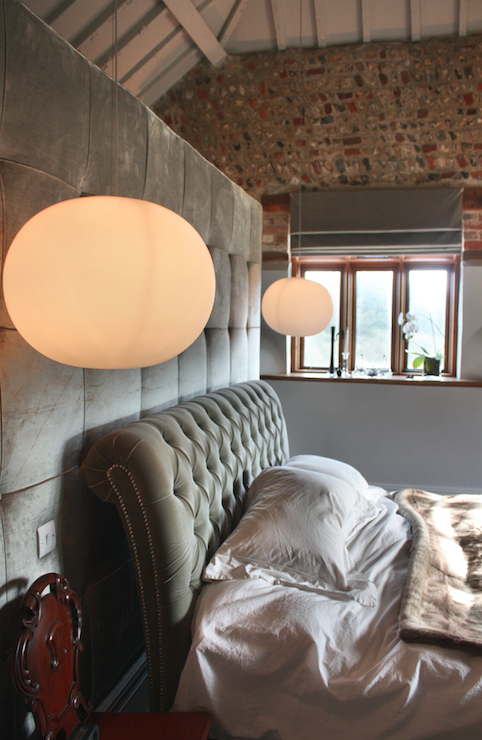 The double height bedroom now incorporates antique details, sumptuous fabrics, engineered oak floor and bespoke furniture. The overall design focuses on an entertaining space, linking the pool area through the pool house to rear seating and viewing space overlooking the tennis court. 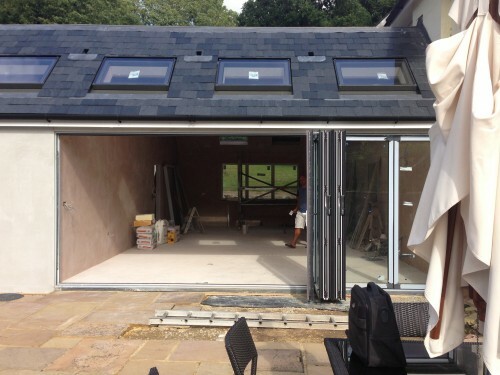 Slate and render is a key material used throughout the period property and new extension. Pfeiffer Design has continued the use of these materials in the pool area. 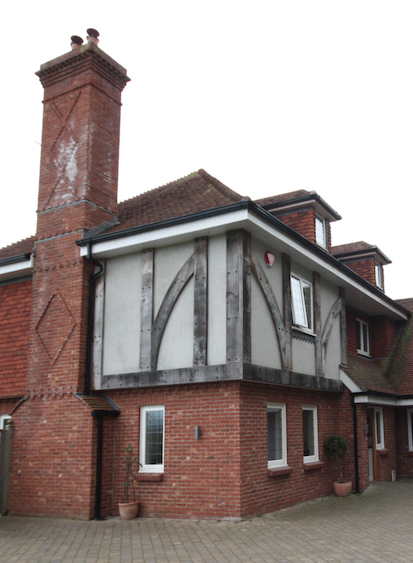 At Pfeiffer Design we are looking forward to a new project restoring a grade two listed house in West Sussex. 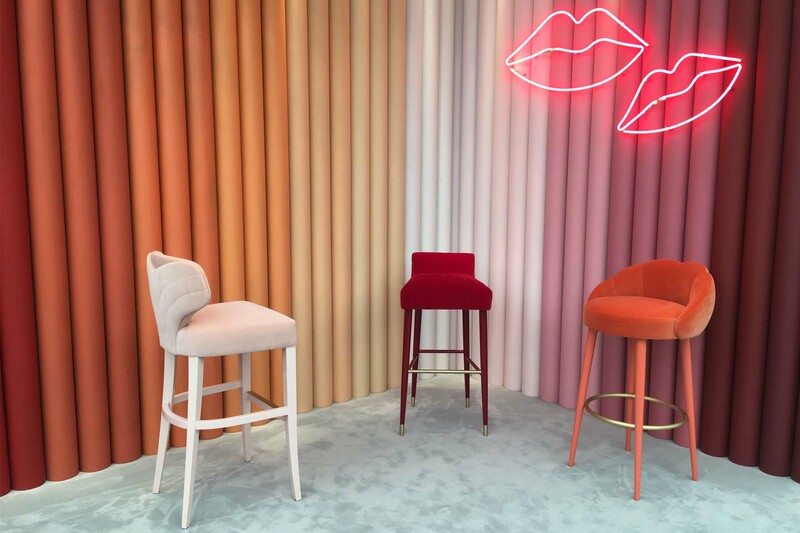 The Architectural idiosyncrasies of the residential building have come from a collection of different periods, so the refurbishment will therefore require careful consideration. Phase one of the project is restoring aspects of the ground and first floor, making it habitable, spacious and functional. Pfeiffer Design has been working on this lighting project for 3 months. The scheme is a new build contemporary extension to house a kitchen, living and dining area overlooking an outdoor pool. 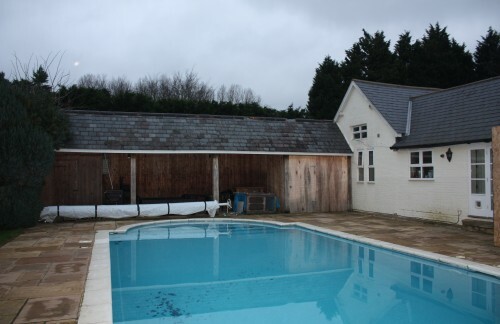 We have also been commissioned to design the external lighting and to redesign the pool area with outside kitchen and bar. 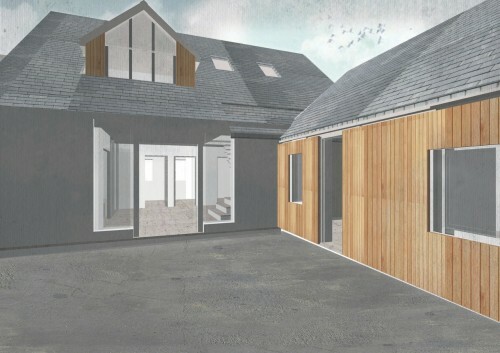 At Pfeiffer Design we are very excited by a new residential project in East Sussex we have just started. Set in a rural village the client has spent years in planning to achieve a potentially beautiful family home. 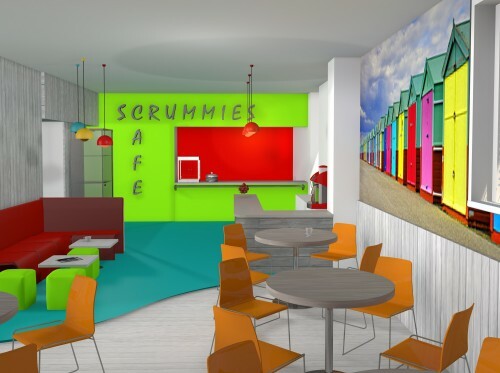 Pfeiffer Design worked closely with MHD Architects on a cafe refurbishment in St John's College, Kemptown. The project was designed and built in 5 weeks during the Summer holidays.